Sagittarius born men love to be a traveler who loves to seek wisdom, beauty and truth. He likes to gain all this through travelling, meeting people and inquiring them. 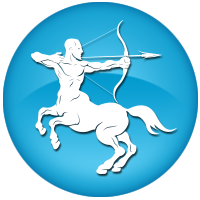 Sagittarius men are very clear and logical in their thinking and approach things in a very big manner. They are very good listeners and give balanced conclusions. Sagittarius men first understand the real meaning of love before falling for it. He needs a companion who shares something different and new. He is an accomplished lover whose straightforward nature attracts his partner. Being optimist, Sagittarius men love to adventure every day in all aspects. He is more curious about philosophy, morality and religion. One will definitely enjoy their conversation with him. Sagittarius men need independence more than money. He is too optimistic to overlook even negative part of his life and be very cautious in financial planning. One can see Sagittarius men in purple and turquoise colors. He may possess cutting edge in his wardrobe and slapdash in his attire. Sagittarius men are trustworthy and cheerful. He is extremely generous and likes to help others. He is known to be the man of advice which he delivers without any hesitation. Sagittarius men don’t deliver any emotional commitment to his partner. He is a highly imaginative lover and love to discover new romance with partner. Sagittarius men can be seen with bruises, fractures and aches in his thigh and hip regions. It is good for him to stay fit by controlling excess weight. They will remain physically active and attractive as they mature. Sagittarius men prove to excellent as publisher, teacher, philosopher, consultant, travel guide, academic, forester, market researcher and also as an entrepreneur. 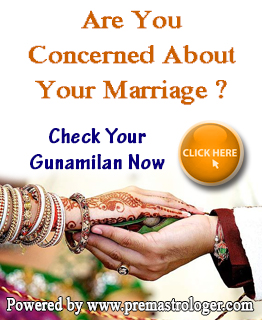 Check out Sagittarius Marriage Compatibility Horoscope Here..
Are you looking for a raise in Career? Check out Sagittarius Career Horoscope Here..